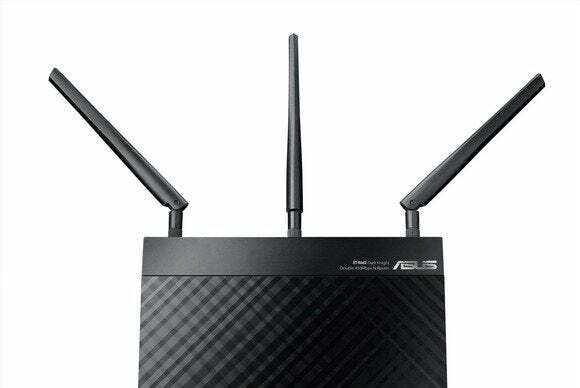 Files on thousands of hard drives connected to broadband routers from Asus are easily accessible over the Internet due to unsecure default settings, according to industry experts and tests conducted by PC World Norway and TechWorld Sweden. Broadband routers with USB ports that allow users to connect external hard drives have become increasingly common. Shared storage that can be remotely accessed via the Internet using protocols such as FTP is convenient, but it also comes with security implications. If products aren’t configured correctly, personal data can become accessible to anyone with basic technical knowledge, which is what has happened to owners of routers from Asus, reports PC World Norway. The problem stems from how the routers are configured. Access to an external hard drive that’s been attached to a router’s USB port using FTP can be activated manually or by using a wizard, but both leave the router open by default. The wizard lets users choose among three settings—the default “limitless access rights and options for “limited access rights” and “admin rights”—with little information about what each option means. Also, the “limited access rights” alternative includes an option that sets up a user called “Family” and proposes the password “family,” instead of telling users to create their own passwords. The problem affects users around the world, including those in the U.S.
”What really scares me is that this went past all forms of security checks that Asus has in place,” said Anders Nilsson, IT security expert at Eurosecure. Broadband router vendors that offer remote access functionality have to try to find a balance between making products that are easy to use and at the same time secure. Vendors should prioritize the latter, but obviously don’t always do that, according to Nilsson. After being questioned about the problem with its products, Asus decided to develop a firmware update that will be distributed globally make it clearer what the different choices in the interface mean, according to company spokesman Emanuel Järnland. ”The ‘limited access rights’ that require passwords will become the new default option. This will apply to both the built-in wizard and when the user chooses to set up FTP manually. Finally, the interface will also indicate whether you used the ‘limitless access’ rights previously,” Järnland told TechWorld Sweden.